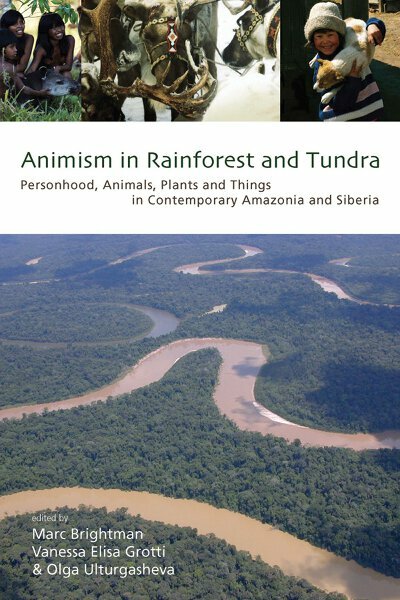 Amazonia and Siberia, classic regions of shamanism, have long challenged ‘western’ understandings of man’s place in the world. By exploring the social relations between humans and non-human entities credited with human-like personhood (not only animals and plants, but also ‘things’ such as artifacts, trade items, or mineral resources) from a comparative perspective, this volume offers valuable insights into the constitutions of humanity and personhood characteristic of the two areas. The contributors conducted their ethnographic fieldwork among peoples undergoing transformative processes of their lived environments, such as the depletion of natural resources and migration to urban centers. They describe here fundamental relational modes that are being tested in the face of change, presenting groundbreaking research on personhood and agency in shamanic societies and contributing to our global understanding of social and cultural change and continuity. Marc Brightman is Marie Curie Intra-European Fellow at the Graduate Institute of International and Development Studies, Geneva and Research Fellow at Wolfson College, Oxford. Vanessa Elisa Grotti is British Academy Postdoctoral Fellow at the Institute of Social and Cultural Anthropology and Research Fellow at Wolfson College, Oxford University. Olga Ulturgasheva is Research Fellow in Social Anthropology at the Scott Polar Research Institute and Clare Hall, University of Cambridge.